Parent stories are a way for parents and family members to contribute to their child's online portfolio. They work in a similar way to a normal learning story. Follow the steps below to learn how to create a 'parent story'. There are a few ways you can add a story. 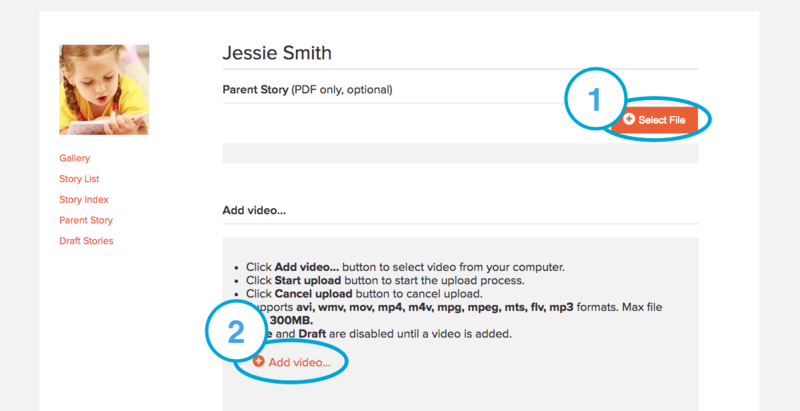 You can either upload a PDF, upload a video, write out a story in the provided box, or do a mixture of those. To upload a story which you have already created in another application (such as Microsoft Word) you will first need to save that file as a PDF. Once you have saved as PDF, click Select File as circled in the above image, and upload it . To add a video click the Add Video button as shown in the above image. Locate and select the video file from your computer, and then click open. When you are ready to start uploading the video, click Start, and a green loading bar will appear to show the upload progress. How fast this takes depends on the size of the file, and your internet speed. Once it has finished uploading the bar will disappear.  You can also create the story directly onto Educa in the text editor. Here you will add the title of the story, text, and photos. 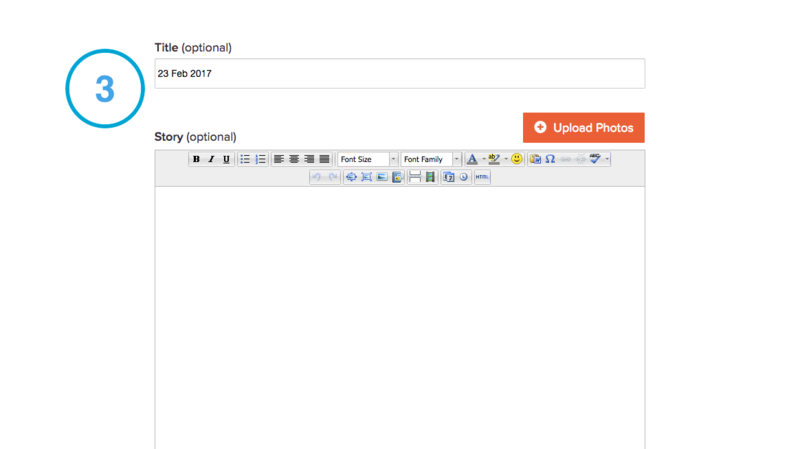 To add photos click the orange Upload Photos button and follow the instructions. For more detailed information on how to upload photos, click here. 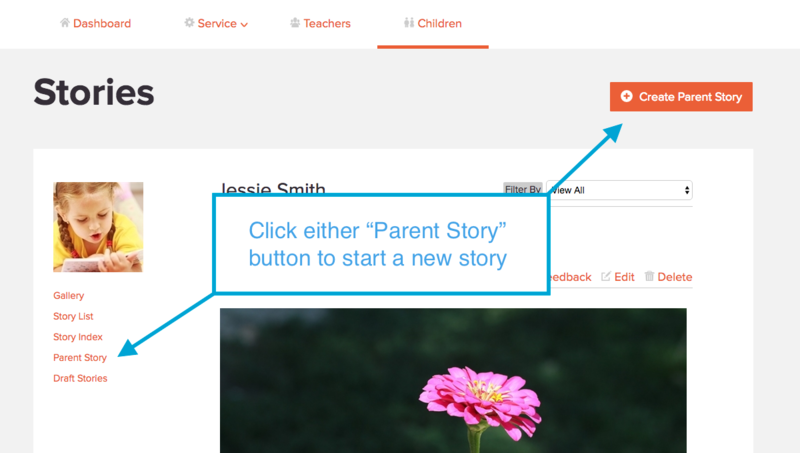 Click the orange publish button at the bottom of the page to save, and send it to your child's educational staff. You also have the option to save it as a draft, if you'd like to finish it later.